Our hearts beat for adventure and nature! Fully equipped and offering the best team of professional guides, we would like to share our passion with you and take you on some unforgettable outdoor tours with us. We are a small company based in the middle of tyrolean national park „Lechtal“. 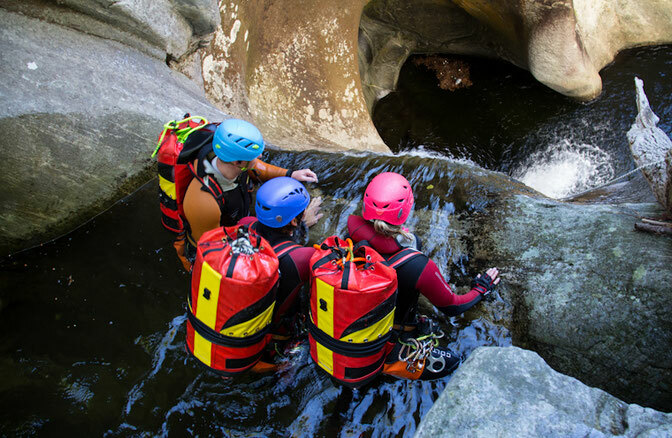 We are specialized in all kinds of canyoning tours and within our big and flexible variety of offers we always find individual solutions for any kind of requests from beginners up to experts level. MK-CANYONING plans and guides tours all around Austria’s Tirol and Vorarlberg, Italy and Switzerland. We are really looking forward to hosting you as our guests and guiding you in the beautiful scenery of mid-european Alps.